I’ve had my eye on you for MONTHS! 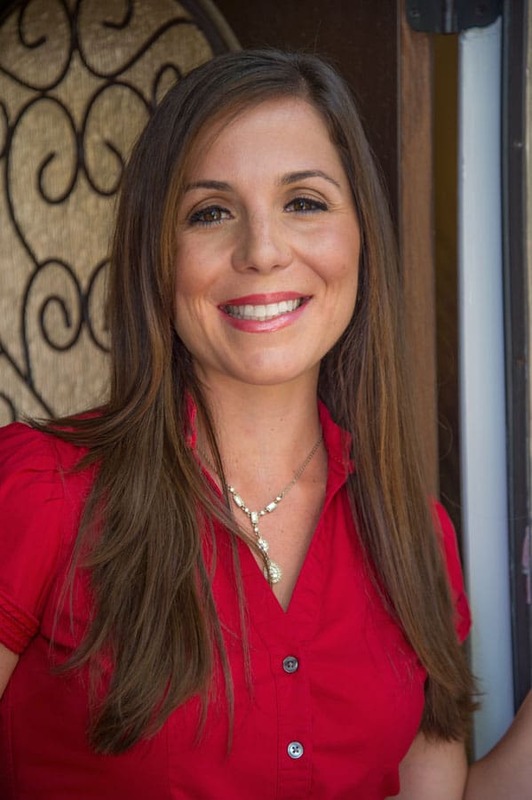 I’ve officially settled down from a crazy, awesome three months of travel and can’t wait to kick back in our house this weekend and celebrate the holiday with good friends and food. 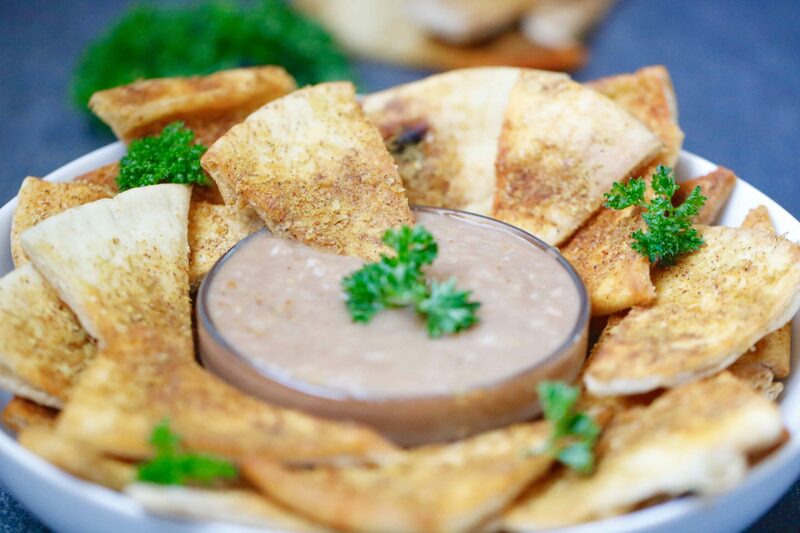 I figured I’d kick things off by serving up a delicious, cheesy chip and dip combo! 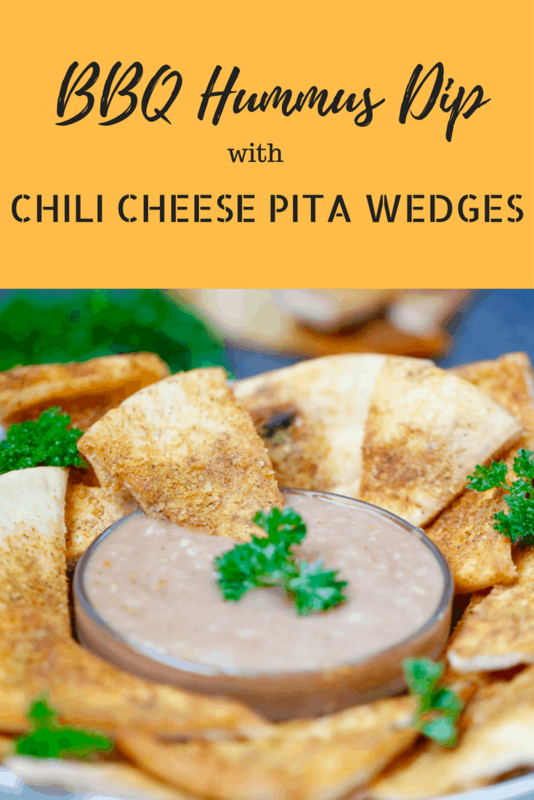 And, because everybody loves a crunchy, cheesy chip, I whipped up some delicious pita wedges to serve. 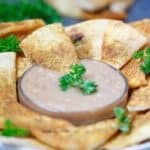 Bonus, they also come with the easiest dip on the planet to make that’s packed with flavor and a Mr. CEO favorite, requested on the reg now I swear! 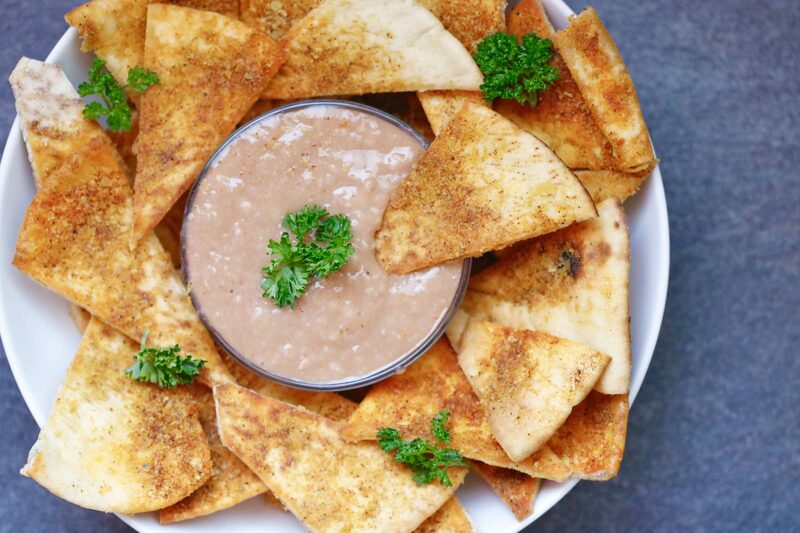 Make these Chili Cheese Pita Wedges with BBQ Hummus Dip and you’re whole party will thank you! Cut pitas in half, then into quarters, yielding 8-12 triangles per pita. Spray two baking sheets with nonstick spray and line pita triangles on each. Using a brush, spread canola oil over the top. Combine nutritional yeast and spices in a bowl, then sprinkle generously over the top of each. Bake for 6 minutes, then rotate and bake remaining 2 to 3 minutes. While in the oven, prepare dip. Place beans in a blender or food processor with BBQ sauce. Pulse for 30 seconds. 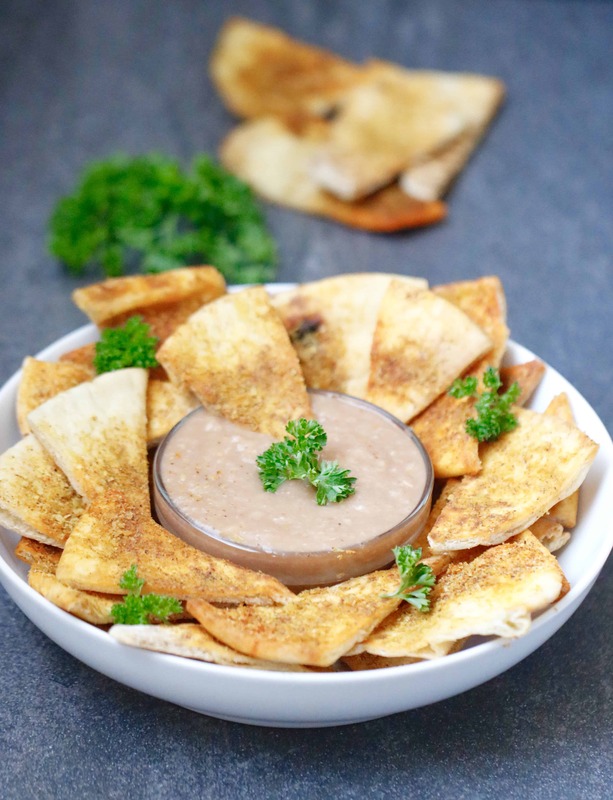 Remove and serve with chili cheese pita chips! Looking for more recipes to whip up for the holiday day weekend? I’ve got you covered! Try these beauties out too- fan favorites I promise!